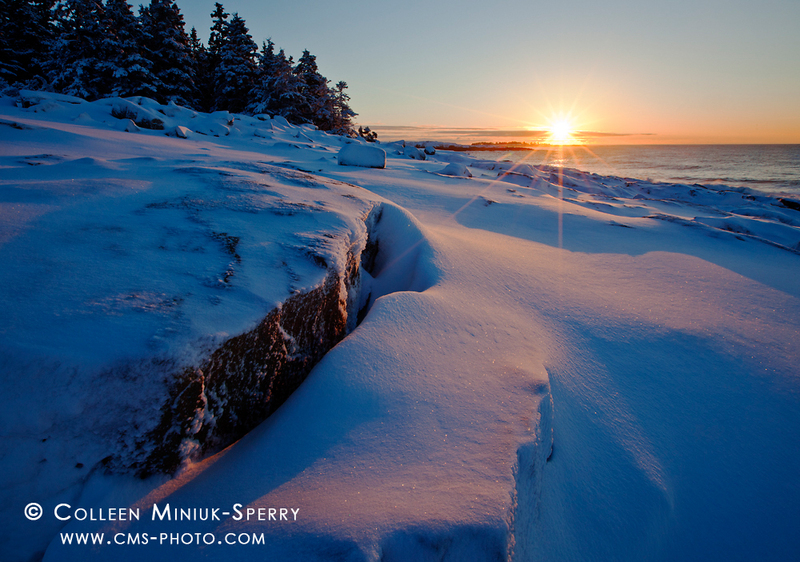 Last night, the Acadia National Park area received about five inches of fresh snow. The fluffy and light powder created a smooth fondant-like coating over the top of the granite ledges and boulders. 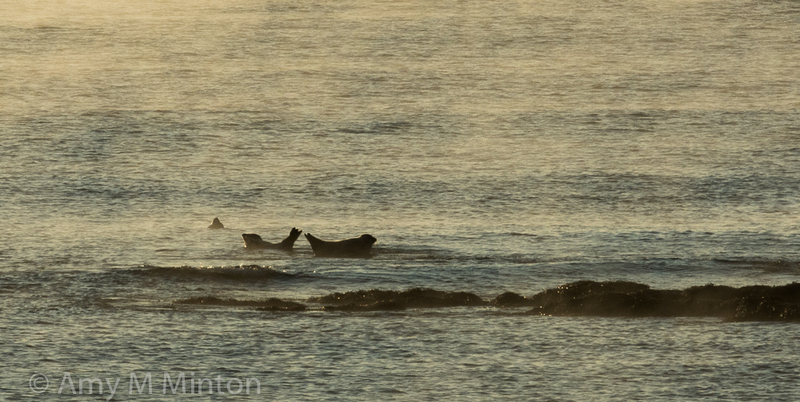 A glorious sunrise greeted those who ventured out early enough to see the winter spectacle. I welcomed the new day with a smile (and a sunburst!) along the granite headland called Schoodic Point. All went according to plan until I finished the third set-up. 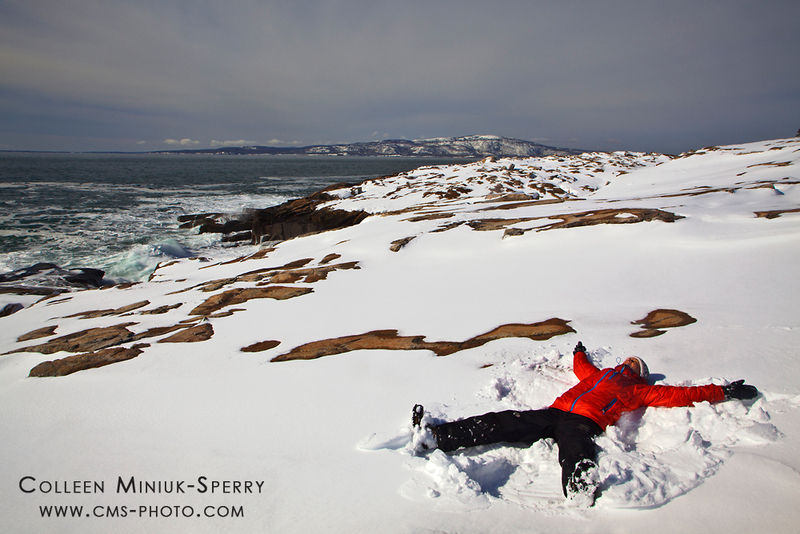 After creating a sequence of photos for a time-lapse video (a new skill I am practicing), I carefully stepped from one exposed granite ledge to another to avoid stepping on my winter creation and to return to my camera. I traveled about three-quarters of the route back with no trouble. 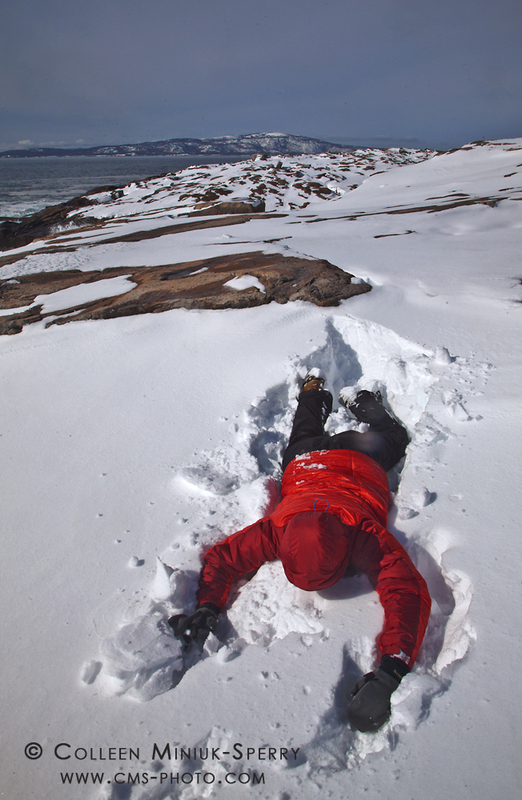 Then suddenly, I plunged from a solid granite boulder into a large snowdrift about four feet below. After my feet stopped in their unexpected descent, my momentum pushed me forward, causing me to land face first and hands out in the soft snow. Instantly, I started laughing hysterically. After a few minutes contemplating the hilarity of my situation, I pulled myself out of the snow, brushed off, and returned to my camera to stop the intervals. My tumble had occurred outside the frame on camera right, but when I glanced at the imprint in the snow, it looked just like an animal shape. I had an idea! Without hesitation, I recomposed my camera on the fall area, set the self-timer, and then performed a re-enactment of my face plant. For more stories about my photographic adventures in Acadia National Park, pick up a copy of my new guidebook, Photographing Acadia National Park: The Essential Guide to When, Where, and How. In addition to the 12 “Making the Photo” stories, you’ll also learn about my favorite 50 locations in the park so you can plan your own fun in this magical place. And, 10% of the book’s profit goes to the Schoodic Education Adventure program to help kids learn about science and nature in Acadia! Or join me in Acadia this fall with the Arizona Highways Photography Workshops! 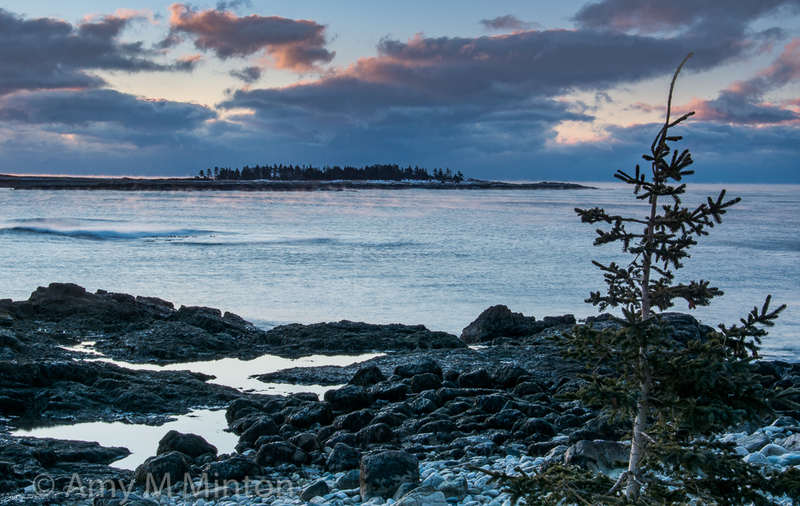 Limited seats remain, so get more information and register at ahpw.org/workshops/2014/2014-Acadia-National-Park-Photo-Workshop-2014-10-09/.